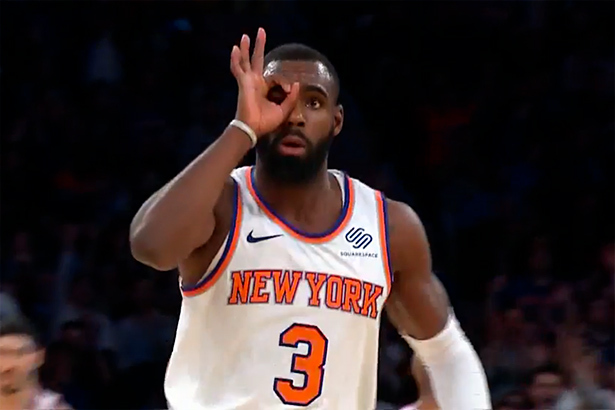 According to a story published by the New York Post, Tim Hardaway Jr. could miss between two weeks and two months. While nothing is certain yet, Hardaway will undergo tests to determine whether his injury is serious or not. As far as Dr. Wellington Hsu is concerned, (professor of orthopedic surgery at Northwestern) the injury could fall in one of the two types: Stress reaction or Stress fracture. The last one would be the most dangerous and if that is the case, Timmy would be out for the next two months. A player who decides to continue and play under these circumstances would most probably suffer a complete fracture which would end his year. A stress reaction on the other side, is not that serious but if not rested enough, it could lead to a stress fracture. Dr. Hsu estimates that a stress reaction would keep Hardaway out between 4 and 6 weeks but the hope is that he will only need one or two weeks. Hardaway played in all of the first 21 games and is averaging 17.8 points, 4.2 rebounds and 3.3 assists. He missed his first game last evening against Orlando and did not made the trip to Indiana today.